Nugget ice was introduced to the world in the year 1981 when Scotsman Ice Systems was created. The name “nugget ice” was used for its small size and soft and exclusive shape. Nugget ice varies in sizes and its consistency ranges from semi clear, hard to opaque and semi-hard. In fact, its cooling capacity differs according to its shape and size. Different than a standard ice machine, nugget ice utilizes a continuous production allows for more rapid production. Probably the most famous user of nugget ice in North America is used by the Sonic restaurant chain. It has become so popular that some people actually refer to nugget ice as “Sonic” ice. These are actually Scotsman branded ice machines, but you will have many choices from all brands such as Manitowoc, Hoshizaki and Ice-O-Matic. It also is known as pellet ice and is perfect for cooling beverages, such as smoothies, sodas and blended cocktails. Nugget ice also has uses in salad bars, trasportation, sports injuries and beauty therapies. If you are sceptical about using nugget ice in your establishment, here are top 5 reasons why you should be using them. Beverages and drinks are always in great demand. You can maximize your profits on beverage sales by using nugget ice. While this ice is small in size, it has a large surface volume. Hence, you can reduce the drink volume by adding more ice to the drink. Your ice costs a fraction of your beverage so the more ice that can occupy your customer’s glass, the more profitable your drinks will be. Nugget ice is small so it fits into any size container. Consumers love ice that can quickly cool their beverage. As the ice to drink ratio is high, it ensures faster cooling of the beverage or drink that consumers order. There is more surface area that is touching the beverage so the cooling is much more rapid than standard cubes. You can be certain on a hot day there will be many customers in your establishment demanding iced drinks, as the ones you serve will be thoroughly chilled and refreshing almost as fast as your can pour them into the cup. Today, people are extremely conscious about their calorie intake. You can easily portray your establishment as one that cares about its patrons. There are many people, who enjoy their beverages (especially sodas), but are worried about their calorie consumption. Such consumers will welcome nugget ice in their drinks, as the ratio of ice to drinks is higher. This means there less room for their caloric drink, making the beverage a more attractive proposition for such individuals. Former Mayor Mike Bloomberg should have proposed mandatory nugget ice vs a ban on sugar drinks and soda. Consumers could still order their 32 oz drinks, but consume less volume than a can of soda. When you compare a nugget ice machine to traditional ice machine, one thing stands out. The former is definitely more productive than the latter. 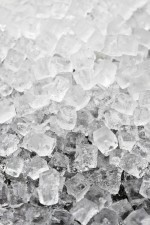 If there is a huge demand for ice in your establishment, a nugget ice machine is perfect. You will never run out ice and will be able to cater to the demand of your clientele seamlessly. Nugget ice use is not restricted to eateries and bars. It also a favourite which is used in gyms dance studios and sports arenas. The sheer size of the ice makes it perfect for treating inflammation and swellings. The ice can easily be molded around the injured part maximizing surface contact with the injury, which can help ease the pain and reduce the swelling quickly. It is the preferred ice for bendable joints just as the knee, ankle, elbow and shoulder. Packaging companies, fisheries and farms that send perishable goods by rail or road are also big volume users of nugget ice. Oddly-shaped produce can easily be packed and then covered and preserved by nugget ice and sent long distances without worries. It fits well into all the empty spaces which balances out the cold across the entire shipment. If you are in the market of a new, used or refurbished ice machine, these are just a few of the most popular reasons to purchase a nugget ice machine over a cube machine. Next Next post: Do I Need a Water Cooled Ice Machine?